This year's hurricane season has been disasterous for thousands of people, but one lens company has stepped up to do what it can for victims of hurricanes Harvey, Irma and Maria. Until December 31, Sigma is offering complimentary service repairs to get your still-under-warranty lenses operating again or trade-in options "...for a special price" (according to an email from Sigma's Public Relations firm that we received). Sigma hereby extends the warranty coverage of Sigma products still under warranty for damages incurred as a result of Hurricane Harvey, Irma and Maria. If your equipment is under warranty, Sigma will provide either (a) complimentary service to get your equipment running, or (b) a trade-in option. 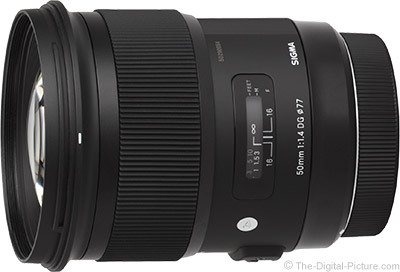 Just ship your damaged equipment to Sigma, and we will ship the equipment back to you without charge. All terms of your Sigma warranty coverage still apply, so when sending in your Sigma product, please be sure to include a copy of the original sales receipt as proof of purchase date. If you do not have appropriate documentation as a result of the Hurricanes, please contact us. Eligibility for this offer is subject to Sigma’s sole discretion. This offer is open through December 31, 2017 (we must receive your damaged equipment by that date). We applaud Sigma's compassion and its dedication to taking care of customers ravaged by the devastating hurricanes.